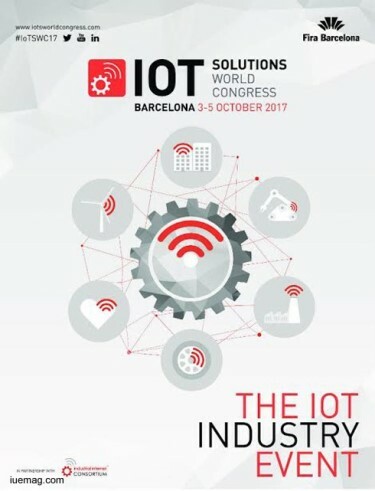 This October, the Internet of Things Solutions World Congress (IoTSWC) will host its third edition and will include two new tracks focusing on innovations that will soon disrupt the technological landscape forever changing the way we produce and communicate: Blockchain and Quantum computing. These topics will be added to the conference structure of the leading event on the industrial internet of things (IIoT) which will also cover subjects such as artificial intelligence, big data, digital transformation, cloud computing, robotics, sensors, security, smart objects, standards, new business models, data storage and analytical prediction. IoTSWC will feature the Blockchain World Expo (BWE) jointly organized with the Blockchain Ecosystem Network, the leading global and cross-sector platform for collaboration, networking, explaining and advancing Blockchain methodologies and solutions. From October 3rd to 5th, top international experts will explore the potential that Blockchain offers to many industries as a platform to manage any digital assets from financial data, to property management, health care data management and verification or intellectual property. The BWE will host panels with international experts on how to use this protocol in many areas. Blockchain is still unknown to many but it significance becomes clearer when it is described as the platform powering bitcoin. Blockchain is a distributed database that simultaneously records information throughout a network of ledgers. This information is protected with the highest cryptography and only when it has been verified throughout the network it is validated. It is a simple concept that will revolutionize the way we manage digital assets such as money or information because it creates a new paradigm of trust, speeds up communication and takes security to the next level. In a much similar fashion Quantum computing will reshape the way machines think, interact and solve problems. The IoTSWC will explore how the exponential increase in computing capability that quantum physics might bring to factories and companies will directly benefit security, big data analysis and consequently predictive and prescriptive analytics. The implementation of these capabilities together with Artificial intelligence will become critical to the business transformation that sensorization and IoT are currently bringing to the industrial stage and will continue to bring in the near future. These topics will added to the eight-themed conference program that will also feature tracks for Manufacturing, Utilities, Connected Transport, Healthcare, Buildings & Infrastructure and Open Industry. IoTSWC has also announced some of its speakers for the 2017 edition. Among the experts that will discuss the future of IIoT are John Ellis, an international expert in connectivity and open-source developments and former Global Technologist and Head of the Ford Developer Program; Mikko Hypponen, Cybersecurity expert and Chief Research Officer at F-Secure Corporation in Finland who has lead some of the teams responsible of taking down some of the largest computer virus outbreaks in history; MiT Media Lab’s Joe Paradiso, Professor of Media Arts and Sciences who directs the Responsive Environments group that explores how sensor networks augment and mediate human experience, interaction, and perception; Joe Spagnoletti, former SVP and Chief Information Officer of the Campbell Soup Company, and an expert in the introduction disruptive technologies in large companies. The third edition of the IOTSWC will experience significant growth. The leading global event on IoT will bring together over 220 companies and 250 speakers to showcase and discuss the latest new products and applications of this disruptive technology that is already increasing production through automated processes and will change the business models in many industries. With the support of the top international associations in the sector –the Industrial Internet Consortium, Industrie 4.0, and the Industrial Valuechain Initiative– this year’s edition will take over two halls instead of one at Fira de Barcelona’s Gran Via venue, and expects to increase the number of its exhibitors by almost 30%. It is the biggest event of its kind and the only one that combines exhibition space, knowledge transfer, testbeds and professional networking at the highest level. In addition, October 2017 will see Fira de Barcelona become one of the largest international exhibition platforms for industry, in both the commercial and knowledge areas, with Barcelona Industry Week. The event will comprise the IoT Solutions World Congress together with the Expoquimia, Eurosurfas, Equiplast and In(3D)ustry From Needs to Solutions trade shows, the World Congress of Chemical Engineering and the World Chemical Summit, as well as the Smart Chemistry, Smart Future event, all held at the Gran Via venue.